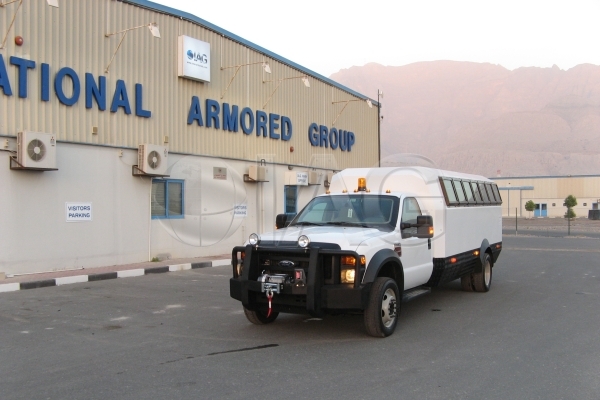 IAG Armadillo armored passenger bus, with up to 26 seating capacity. 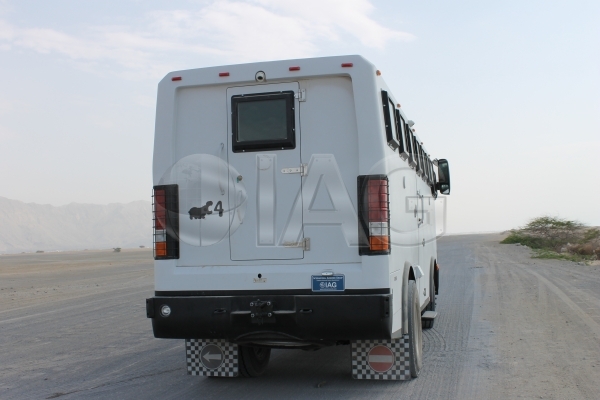 IAG Armadillo armored bus featuring rear armored door, towing hook, camera, and mud flaps. 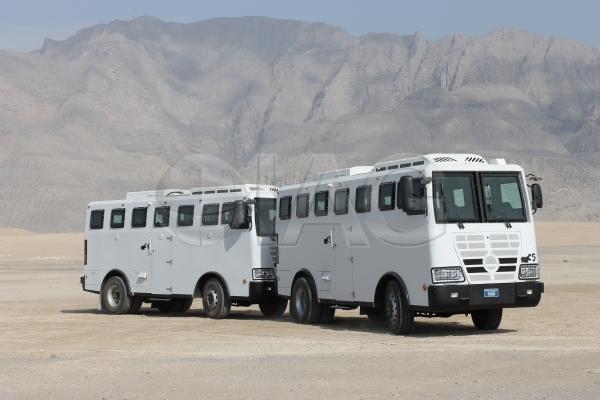 IAG Armadillo armored passenger buses undergoing vehicle recovery tow test off-road. 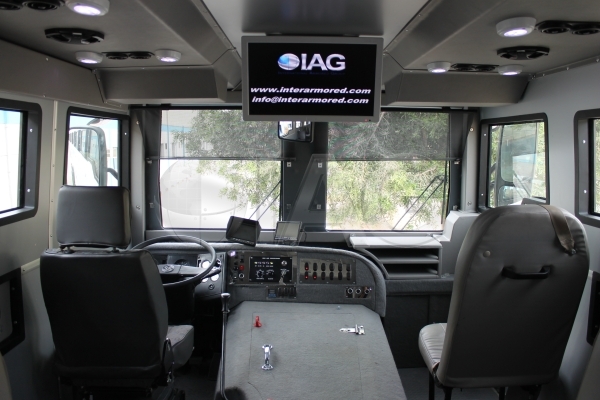 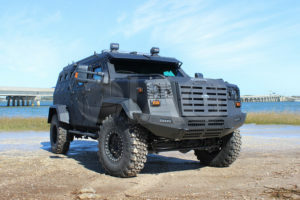 The armored transport bus features driver accessible controls and LCD screen for passengers. 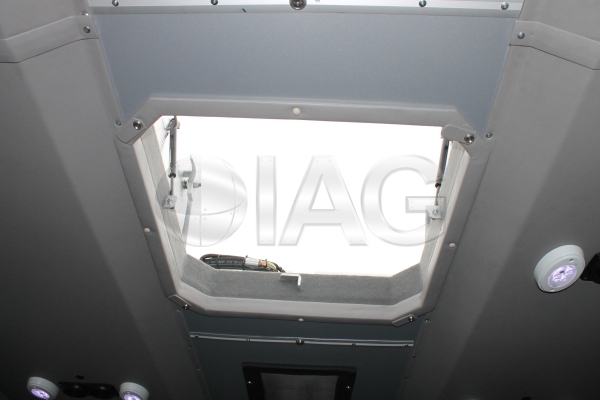 Roof escape hatches as additional points of entry and exit for the occupants of the armored bus. 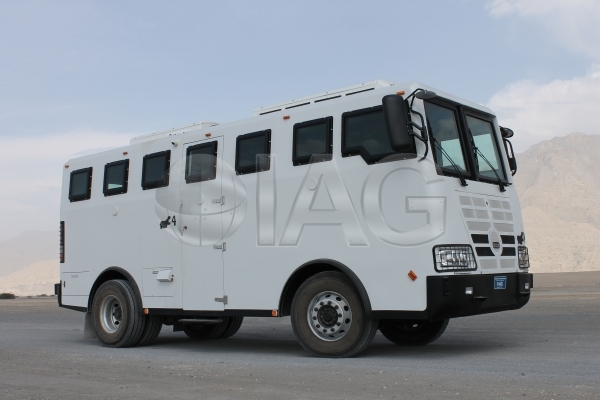 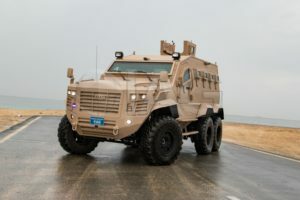 IAG Ford F550 armored bus, heavy duty chassis with B6 armoring for cabin and passenger compartment. 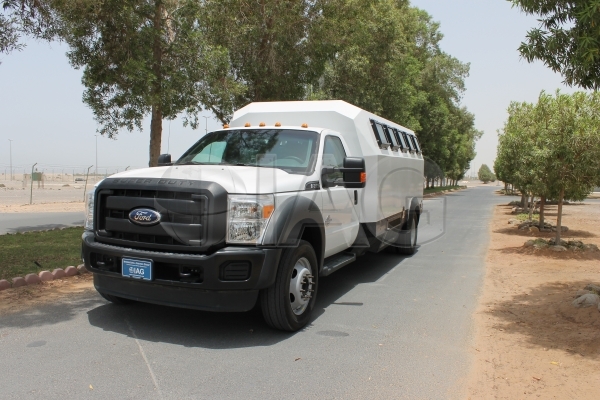 Optional equipment such as heavy duty front ram bumper and recovery winch are available for the armored Ford F550 passenger bus. 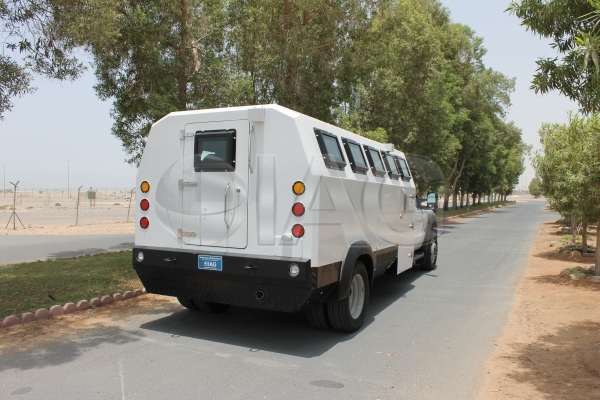 IAG Ford F550 armored bus with rear armored passenger compartment with seating up to 22 PAX. 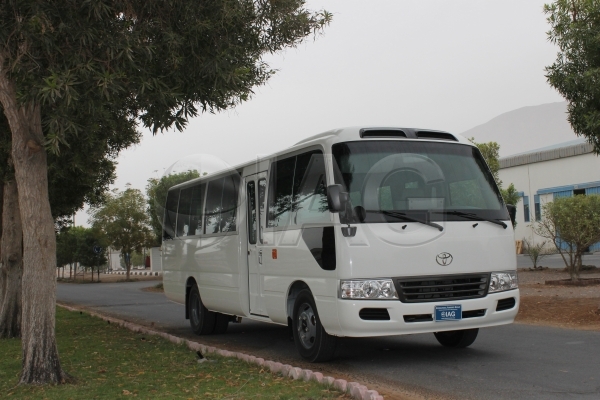 IAG Toyota Coaster armored bus is suitable for low profile armored transport in many regions. 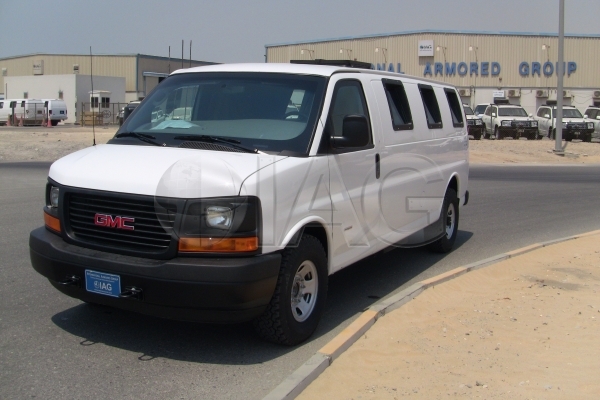 IAG armored GMC Savana passenger van, with exclusive diesel engine compatible with high sulphur fuel. 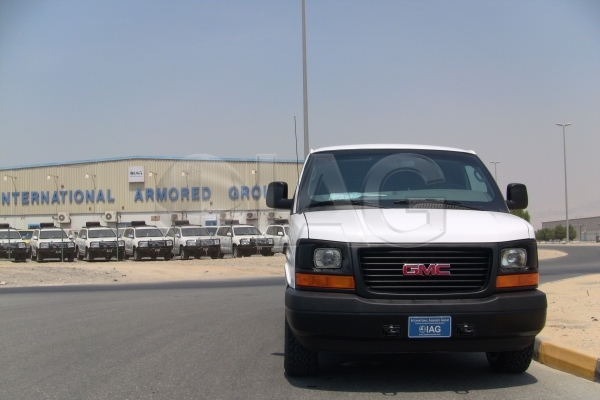 Other features of the Savana armored van include roof escape hatch and tires with high load capacity. 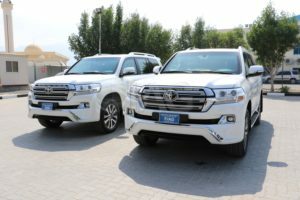 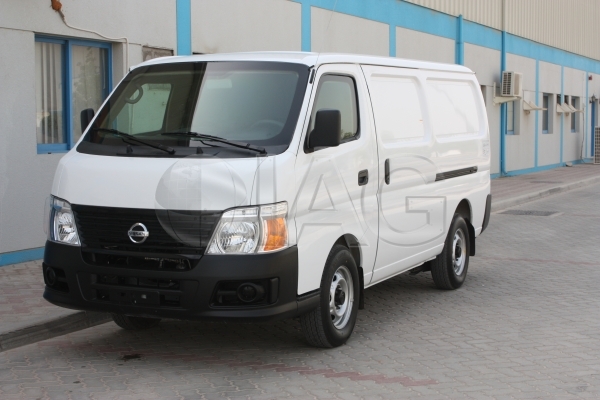 Light vans such as the Nissan Urvan and Toyota Hiace are suitable platforms for low profile armored van conversion. 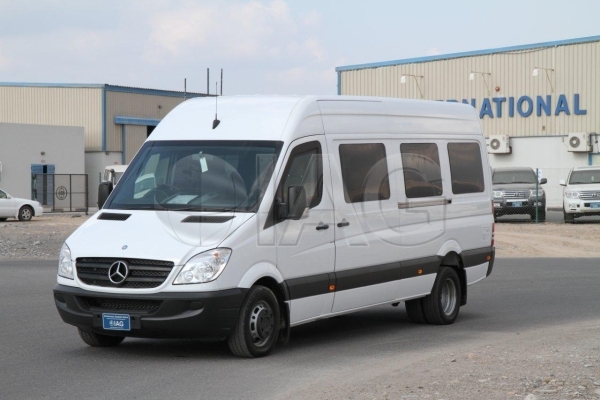 IAG Mercedes Benz Sprinter armored minibus, seats up to 14 passengers.